“Get Up Stand Up” farmers should stop panicking as to when they will receive fertilizers for their fields as the fertilizers have just arrived at Andiamo. 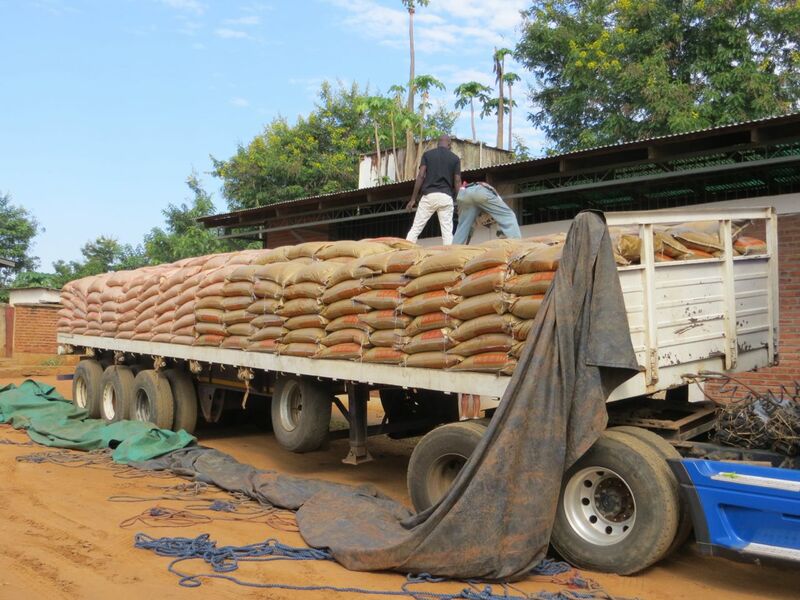 Since it has started to rain in some places around Balaka, farmers including those in the “Get Up Stand Up” project were panicking, doubting this year they would get the fertilizers from the project. Over 230 farmers from villages around Balaka will benefit from the project this year. Get Up Stand Up project is a microcredit project where registered farmers get fertilizers at a market price on loan and start to give back immediately they have harvested. The project is facing a lot of hiccups mainly because the local currency is not stable. The project risks reducing the number of beneficiaries if more cash is not injected every year. Associazione notarile di solidarietà Bergamo, an association of Lawyers from Bergamo funds the project. This entry was posted in News from Malawi, Social Development and tagged Balaka, Get Up Stand Up. Bookmark the permalink.